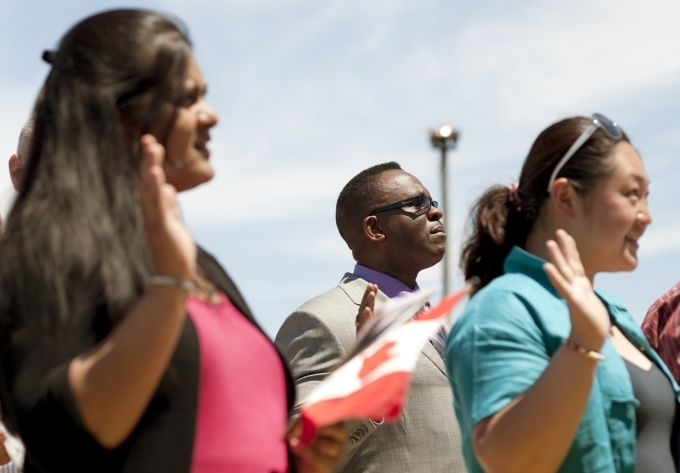 Our Canadian immigration and refugee lawyers at Gerami Law PC are familiar with the requirements and the procedures involved for obtaining your citizenship and will ensure you are strongly positioned to succeed in this process. Requirements for Canadian Citizenship continue to change by the day. On June 19, 2017, Bill C-6 passed reversing many of the changes made to the Canadian Citizenship process in 2014. Additional changes took place as of October 11, 2017, and more changes to the Citizenship Act are to take effect at later dates. The following table shows the changes in Citizenship Requirement in the recent years. Intention to reside in Canada Do not have to prove intent to reside in Canada; cannot lose citizenship for planning to reside somewhere else once you obtain citizenship Requires promise of intent to reside in Canada once citizenship is obtained Do not have to prove intent to reside in Canada; cannot lose citizenship for planning to reside somewhere else once you obtain citizenship. Minors Allow minors the right to apply for citizenship without parents by removing age requirement under 5(1) If the parents are rejected, the minor child would be as well. Under a removal order and are not the subject of a declaration by the Governor in Council made pursuant to section 20 of the Citizenship Act. Applying once they meet the residence requirements, regardless of the intentions or citizenships of their parents. The requirement that you apply at the same time as your child, or have already become a citizen has been repealed. As of June 19, 2017, minors can qualify on their own without the need to have a Canadian parent. If you have been served with a Residency Questionnaire in the course of your citizenship application, this means you are required to provide additional information to prove your residency in Canada. We will prepare your Residency Questionnaire, explaining any travel history and working with you to provide additional supporting information. Gerami Law PC will strive to help you avoid any additional delays and to obtain your citizenship as soon as possible. If you have a criminal record, are facing criminal charges or have been ordered to leave Canada, you may not be eligible for citizenship. If you are on probation or are charged with a crime and waiting for a trial, Gerami Law PC would be glad to meet with you to discuss your case, and explain your rights and options. Have been convicted of terrorism, high treason, treason, or spying offences while you were a permanent resident. To learn more about how you can obtain Canadian citizenship, please contact our office to arrange for a Consultation.